On the weekend of September 8 and 9, we got lucky here on the Ohio shore of Lake Erie. I’d thought it was going to be a good weekend to hunker down indoors with coffee and a good book, and maybe even build the first fire of the season as a big storm dumped endless buckets of rain and whipped the lake into a frenzy. 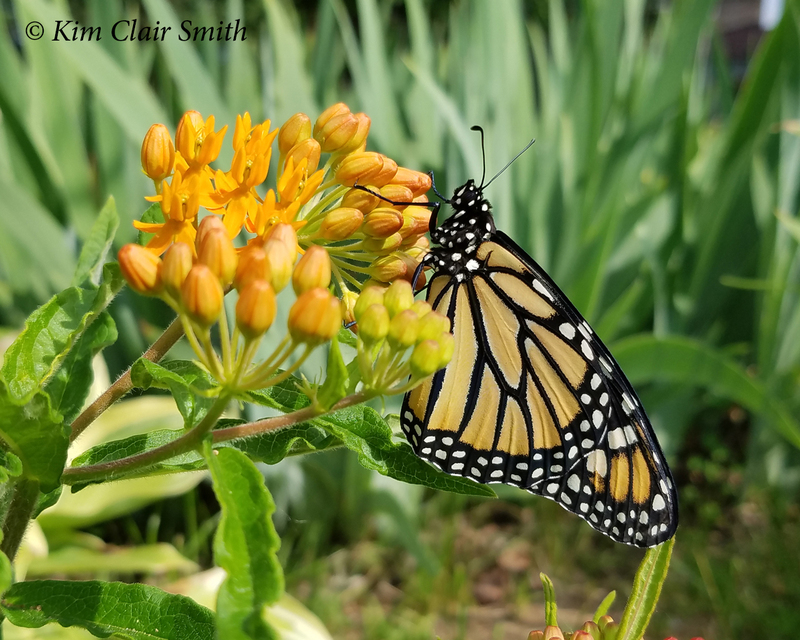 On Saturday afternoon I saw a few Facebook posts about big numbers of monarch butterflies roosting at places along the south shore of the lake. I figured that they would move on before I could get over there, so I didn’t get too excited about it. And besides, I’d always heard that THE place to see the massive monarch migration was at Point Pelee, on the Canadian side of Lake Erie. I figured I’d get over there one of these years to see it; for some reason I didn’t feel any urgency about it. But on Sunday morning I read on social media that there were tens of thousands of the iconic orange and black butterflies roosting at Ottawa National Wildlife Refuge (ONWR), and that was all it took. The moment I read that I jumped in the car and began the 40-minute drive over there. ONWR has a wildlife drive, a road that winds through the immense refuge allowing you to see more of it from your car than you can generally see from the hiking trails. They open it on weekends from spring to fall, with the route varying depending on conditions within the various marshes. 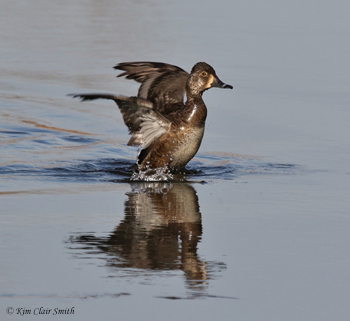 It’s very popular with local birders, and I’ve driven it many times. But on Sunday they had opened parts of the wildlife drive that I’d never been able to drive on before, the farthest northern parts, closest to the lake shore. Why? Because that’s where tens — or maybe hundreds — of thousands of monarch butterflies had been forced from the skies by the storm. I was so awestruck by the sight that I didn’t take nearly enough photos, which I greatly regret. This was one of the first clusters I found, and it was just a taste of what was to come as I got closer to the lake shore. I stopped periodically and got out in the wind and rain to take a few photos, but these photos don’t begin to convey what it was like to see this phenomenon in real life. A couple times I found myself driving verrrry slowly below massive clusters of butterflies with my jaw hanging open and tears forming in my eyes. At one point I stepped out of the car and was enveloped in a cloud of wind-tossed monarchs; I’ll never forget what that felt like. It reminded me of a time when I had a similar experience standing beneath an enormous flock of swallows as they swooped all around my head. It almost feels like time stops for a brief moment as you’re swept into the world of these amazing animals. I’ve always thought of butterfly wings as being so delicate and fragile, but they’re obviously stronger than they appear. Most monarchs only live for a few weeks, but this last generation of the year will live until next spring. They’re on their way to Mexico, where they’ll hibernate for the winter before returning here to lay their eggs in the early spring. 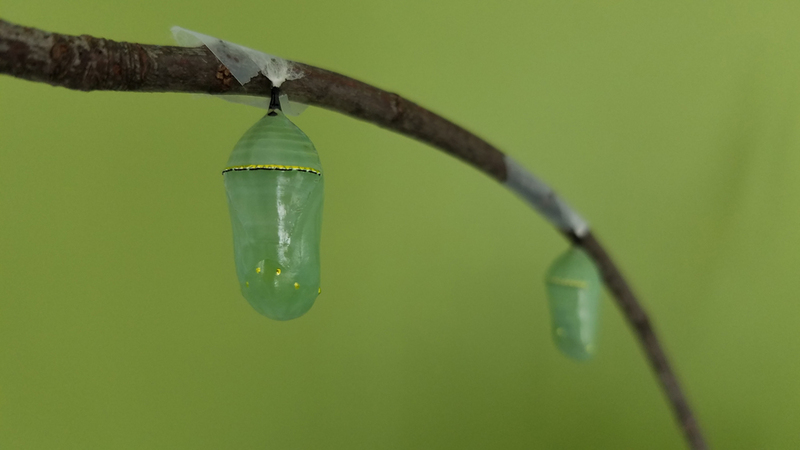 There will be three generations hatched next year, until the process repeats itself next fall. 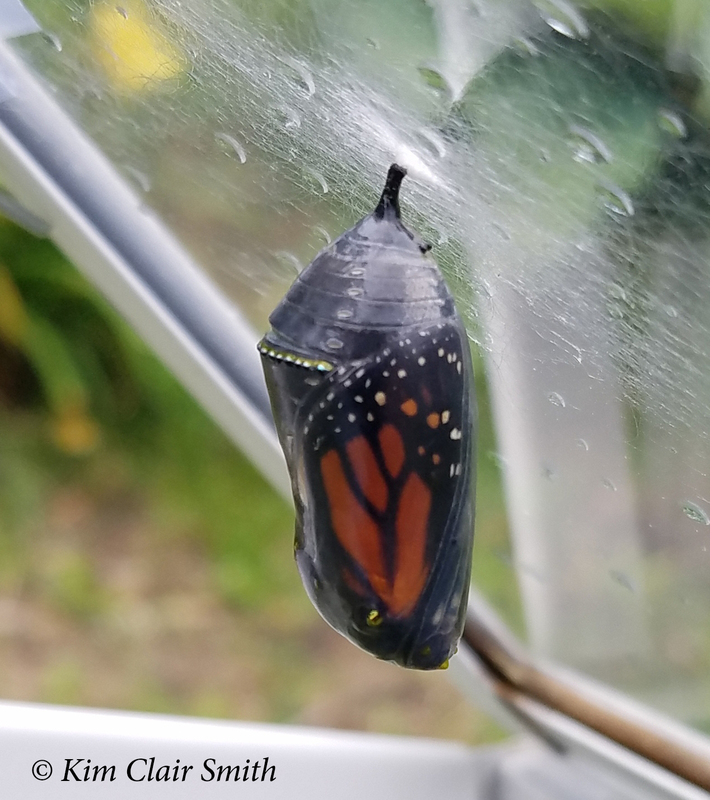 I released a new monarch into my garden just last week, and he’s probably joined this massive migration already. It’s inspiring to think of these paper-winged insects flying thousands of miles, isn’t it? Oh, and since I don’t have enough good photos of this amazing experience, I suggest you go see my friend Jackie’s photos on Facebook — here’s the link to that. She was there on the same day I was, and her photos will really blow your mind! 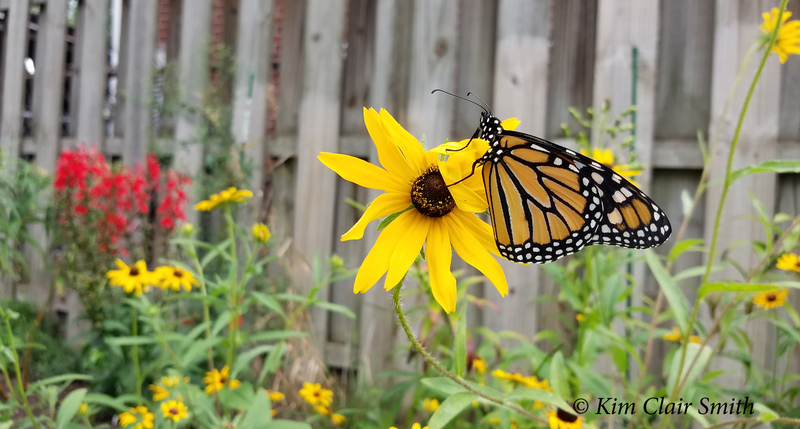 This entry was posted in Insects and tagged insect, insect migration, lepidoptera, metamorphosis, Migration, Monarch butterfly, Ohio. Bookmark the permalink. Only one year did I see great numbers of monarch passing through our woodlands, but it was nothing like your photos and videos show. What an amazing experience, Kim!! What an experience!!! Thanks so much for sharing Kim. Pictures and videos are outstanding!! The link to Jackie’s page was amazing!! Nature is so fantastic you never know what it will bring. It wasn’t a dream, was it Kim? It certainly felt like it. Seemed the roosts were endless along the drive. What a day, what a day! These are all amazing !! This is the most amazing event and what an experience for you to be a witness… plus be able to capture it in photos and videos. Wow!